How Do You Replace a CEO? One of your major responsibilities as the board of directors is to ensure that you have an effective CEO in place to run the credit union. The definition of an effective CEO is a topic for another article but what I want to discuss in this article is what to do if your CEO decides to leave. Have you ever found yourself in the following situation? Your CEO has been with the credit union for 20 – 30 years and he/she decides to retire. Maybe one or two of your board members were on the board when the CEO was hired, but they probably don’t remember the process that was used to select the CEO. Have the CEO find his/her own replacement. Have the Chair of the Board search for and select a new CEO. Hire an executive search firm to find your next CEO. Form a committee of the board to oversee the entire process and possibly perform some of the steps. I know credit unions that have used all of the above methods. If you are surprised that a credit union would have their CEO find their own replacement, I am too! But I am aware of a credit union using this process right now. This, however, is not an acceptable process. It is the board’s responsibility to find the new CEO, not the CEO who is leaving. Answer “2” puts the responsibility back on the board but gives all of the “power” to the Chair. The rest of the board members would have to have COMPLETE trust in the Chair. It seems to me that this is an awful lot of responsibility for one person. Problems could come up in the future if some of the board members don’t ultimately like the CEO, so this option is not recommended. In answer “3” the credit union hires an executive search firm to find the CEO’s replacement. This can be an acceptable solution as long as the board or a subcommittee of the board is very involved in the process and oversees the actions of the executive search firm. The board also has to make the ultimate decision. The best answer is “4”, where the board forms a subcommittee to perform the search. This method spreads out the responsibility to several board members to find and recommend to the full board a new CEO. 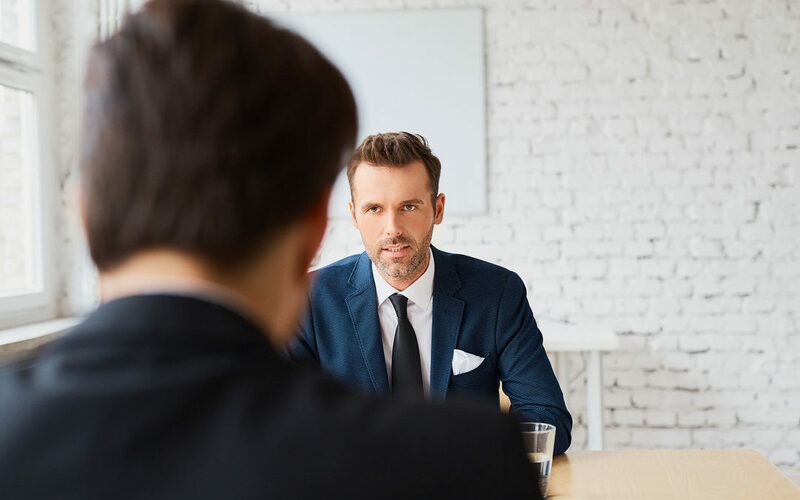 The “search” committee can choose to perform the search on its own by getting the word out about the upcoming opening or choose to retain the services of a professional executive search firm to provide some assistance. If your credit union finds itself in a position where the CEO is retiring or leaving, first keep in mind that it is the board’s responsibility to find the new CEO.